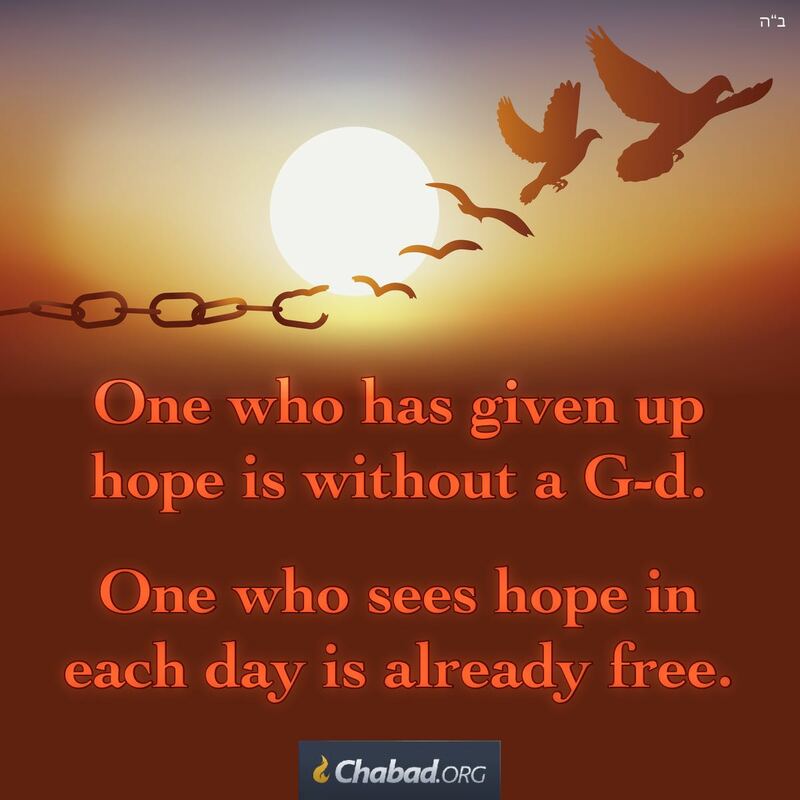 One who has given up hope is without a G‑d. One who sees hope in each day is already free. Dear Anonymous 1, if you give up hope all is lost, but G-d can do anything and everything is G-d, so if you have faith and pray, then if it's for the good He will liberate you. Dear Anonymous 2, this Daily Dose says absolutely nothing about gender so I have no idea what you're talking about. Dear Anonymous 3, you only feel trapped if you give up hope and faith. G-d's liberation may not be manifested yet, or it may not be for the good to be "liberated" yet.